We regularly collaborate with industrial partners from different areas offering a diverse portfolio of services and consultancies. Our rare combination of top class creatives and technologists paired with first class machinery will project your company at the forefront of innovation and tech. We regularly collaborate with industrial partners from different areas through a diverse portfolio of services and consultancies. Such services include tech-lifts in fields related to Additive Manufacturing, i.e. generative design or production-ready design of components. Our execution is as agile as you would expect it from a startup and follows the idea of blended learning: we combine digital and analogue resources to create a sustainable learning experience that stands out from conventional training. 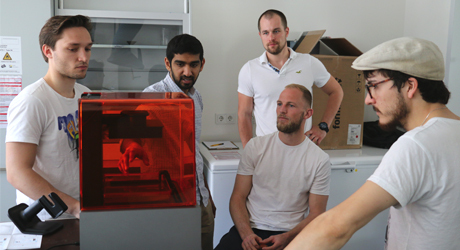 If you are a small or medium size enterprise, you can work with us to explore new applications for your products or to train your developers in tools and know-how related to Additive Manufacturing. By receiving an unbiased feedback and rapid prototyping support related to that, you will be able to identify promising solutions quicker. 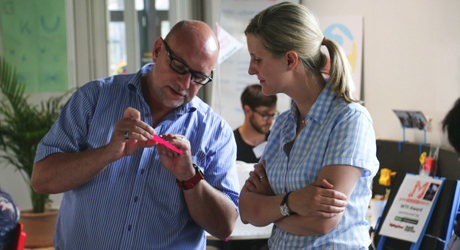 As a big, established company you will find value-for-money trainings and true insights into agile methods that can help to rejuvenate your organization’s established working culture at Fab Lab Berlin. By the way: our trainings are hands-on and free of cheap talk. Collaborating with machine and material suppliers such as Datron helps us to keep our arsenal of machines up to date with latest developments in prototyping technology. 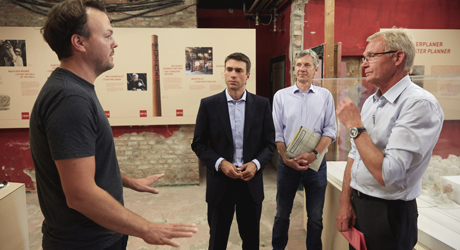 As a machine supplier, we help you to test and showcase your tools and materials at Fab Lab Berlin and get real life feedback from students and startups. Often bigger corporations struggle to keep their staff up-to-date with the latest developments in technology and innovation. Fab Lab offers tailored tech training to get your staff tuned in with the latest development in our fast paced society. 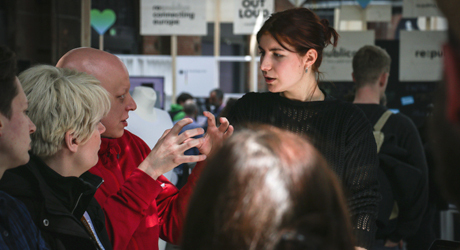 Fab Lab Berlin’s rich pool of experts and upcoming talents includes some of the best designers you can find in Germany. Work with us through design challenges tailored to your products to access fresh ideas. 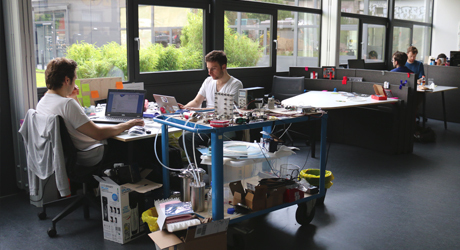 Ever wanted to work with Fab Lab Berlin? Wait no longer, we're ready to help you and your company achieve your goals. Contact us below and tell us about your idea. We're moving to a bigger space. More info soon (Sept 2018).